Renata Gonzales, a pediatric patient of Carrie Tingley Hospital Foundation, was recently diagnosed with Scoliosis. She was told she would have to wear a back brace for a minimum of eighteen hours per day, every day, for eighteen months to two years. By wearing the brace, she will likely be able to avoid a costly and difficult surgery that would significantly restrict her motion. Renata’s Boston Brace costs approximately $5,700.00. 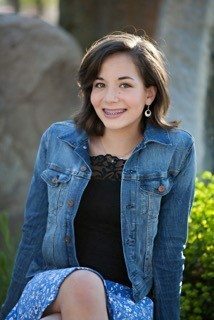 After spending many hours at the hospital and meeting several other patients, Renata realized that not everyone being treated for Scoliosis at Carrie Tingley Hospital has insurance to cover the cost of their brace, or even the copayment if they have insurance. Renata decided she wanted to raise money to help families of children with Scoliosis who cannot afford braces, so they too can avoid the need for surgery. To accomplish her goal, Renata, an avid reader, worked with the Carrie Tingley Hospital Foundation to create a Read-A-Thon. She was able to raise over $4,000 by connecting with her family and community members and getting them to pledge money to her by reading either a certain number of books or a certain number of pages. The Carrie Tingley Hospital Foundation salutes Renata for her ingenuity and her giving spirit. We hope that Renata’s selfless act of charity will inspire other people, both children and adults, to follow in her footsteps. If you, or someone you know, would like to help change the life of a child, please contact the Carrie Tingley Hospital Foundation at (505) 243-6626, or email us at info@cthf.org.